Washington, DC, Where would one go to ride an aerial zip line, have golf swings analyzed, and take a scuba diving lesson under the same roof? Adventure travelers of all ages descended upon the Washington, DC Convention Center last weekend for the final day of the 2007 Adventures in Travel Expo. 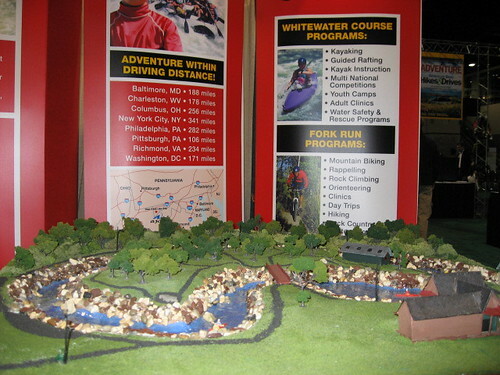 Billed as Washington's Ultimate Travel and Adventure Show, previous stops included New York, Long Beach (CA), and Chicago. Admission was $15, however I received a flyer for free admittance thanks to National Geographic. Perhaps my magazine subscription paid off! Upon walking into the cavernous convention center, I got my bearings from the balcony overlooking the basement level before descending the stairs to explore. It was a few minutes past the opening hour of 11am on Sunday. Once down, I was immediately confronted with the Global Beats Stage, and West African Dancers doing their thing to a steady drum beat. It instantly put me in the mood to leave the reality of the day behind, and let my imagination run wild with the opportunities, displays and brochures bombarding me from all angles. As I moved from booth to booth, I quickly realized the cool exhibitors had raffles to enter. Trips to Puerto Rico, Costa Rica, and Grenada, were just the tip of the iceberg. Besides the exotic vacations, prizes ranged from a new Suzuki SUV to a carry-on size piece of luggage (I skipped that drawing). 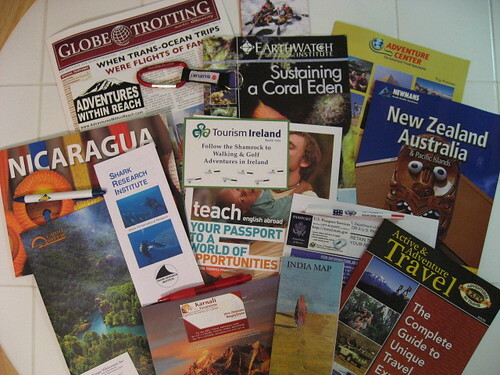 Along with the near endless drawings to enter, I slowly started to accumulate pamphlets and brochures from whitewater rafting companies to Teaching English as a Foreign Language programs. My goal was simple, limit myself to what truly looked appealing for my upcoming RTW trip, and make it out of there without having to rely on the dreaded plastic tote bag. I was having flashbacks to the auto shows I use to attend as a kid. I'd collect all the brochures, only to throw them out five minutes after getting them home (when they seemingly lost whatever appeal they held under the bright lights). As I worked my way down each aisle, I passed from continent to continent. I had forgotten how common it was to have attractive women at the booths. 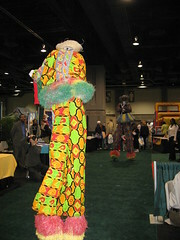 Many were from the countries whose travel agencies they represented. The Irish missed the memo though, as their booths were manned by old, white haired men. Whether it was a young Australian woman, or talkative Indian man, the international makeup added an air of authenticity to the show. From Vermont to Nepal, New Zealand to Trinidad, the world was represented in a thorough manner. After a solid two and a half hours, including a delicious, authentic Caribbean lunch of BBQ Chicken, with rice and beans, I departed a slightly wiser adventure traveler. Now what am I going to do with all those brochures.